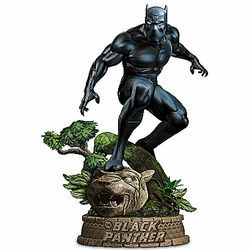 Standing on the image of a carved fierce jungle cat, Black Panther is ready to fight for Wakanda in his special suit. His claws and mask add to the chilling effect as he stalks anyone who threatens his country. Bring to Life their Favorite Character from the Star Wars Saga.